McGard Cone Seat Wheel Locks are for use with steel or aluminum wheels with lug nuts that utilize a 60 degree tapered cone seat at the bottom. McGard is the only manufacturer to offer 8 different key hex sizes to match the vehicle’s original equipment lug wrench. You will appreciate this important feature when you have to change a flat tire along the roadside. Our steel collar guides the key into the lock pattern. Simply place the key over the lock and turn until the patterns engage. The collar holds the key in alignment for easy installation and removal. The best in the industry. Our process includes three layers of nickel and one layer of microporous chrome. The first layer of nickel is for corrosion resistance; the second layer of nickel is for luster and the third nickel layer interacts with the microporous chrome layer to disperse nature’s corrosive action (rust). We use only restricted chemistry steel, made specifically for McGard. These special standards insure the structural integrity of each and every fully machined McGard wheel lock. Every lock is through-hardened and tempered, reaching the depth of hardness needed for its unsurpassed level of security (unlike case hardening which is only a surface treatment). Core integrity and precision machining provide the highest strength in the industry. 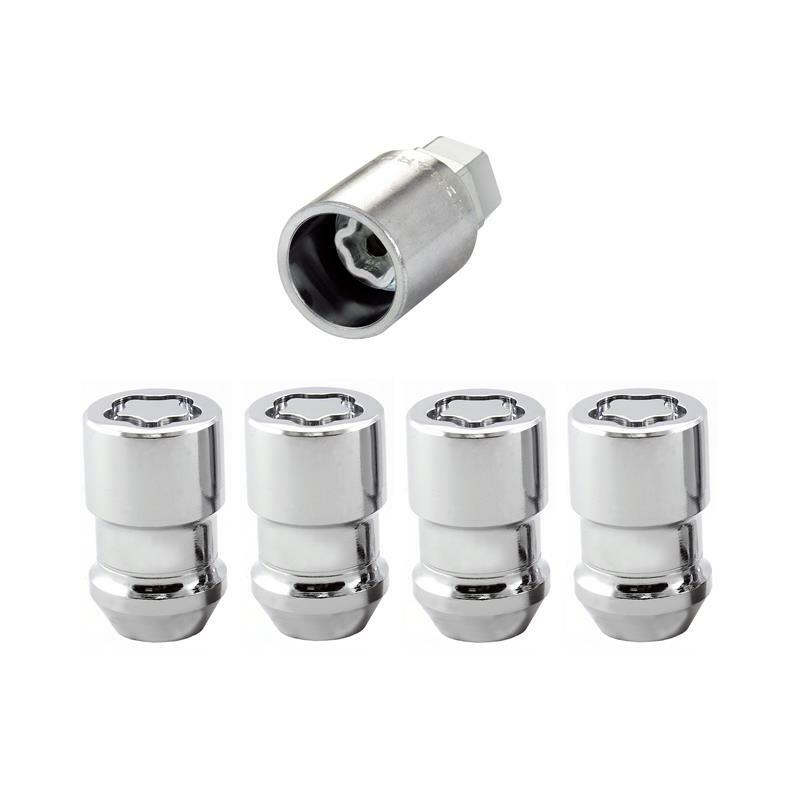 All McGard locks and lug nuts meet or exceed the highest OEM proof load standards, 135,000 to 160,000 PSI. McGard’s standard for concentricity of the bearing surface to the pitch diameter is 30% more precise than OEM standards. This insures even distribution of the clamp load and uniform seating of the lock to the wheel.